Current methods of responding to student offenses in schools are often not effective, and may even be backfiring. Many experts support the use of restorative justice (RJ), an approach to justice that focuses on repairing harm and restoring relationships, rather than simply punishing the perpetrator. This new report, funded by the Robert Wood Johnson Foundation, describes the promise of RJ in improving relationships and the overall school environment, and summarizes the findings from interviews with over 40 nationally recognized RJ leaders. 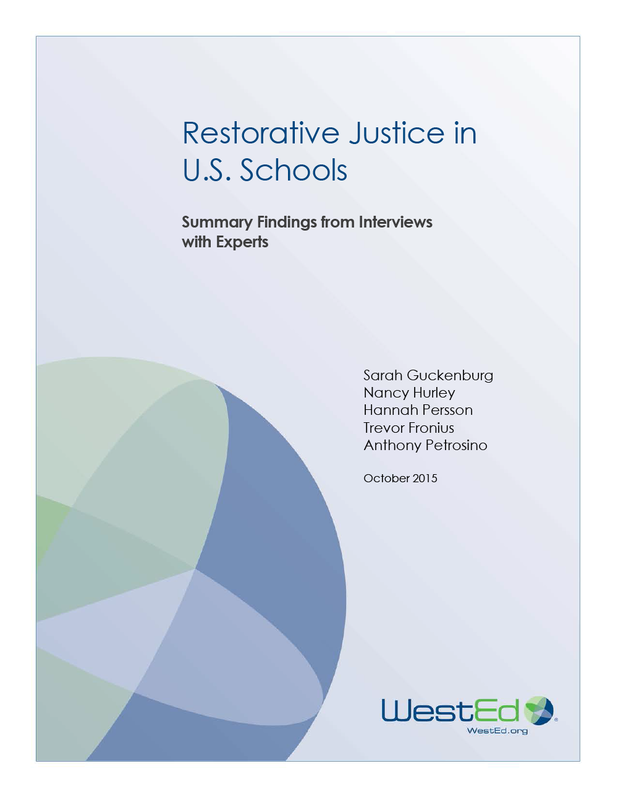 The experts agreed that RJ can help address some major challenges schools face, such as disproportionality among discipline referrals and the zero-tolerance policies that contribute to a school-to-prison pipeline. In addition, the experts supported the need for further rigorous research in the field to determine the full impact of RJ in schools.